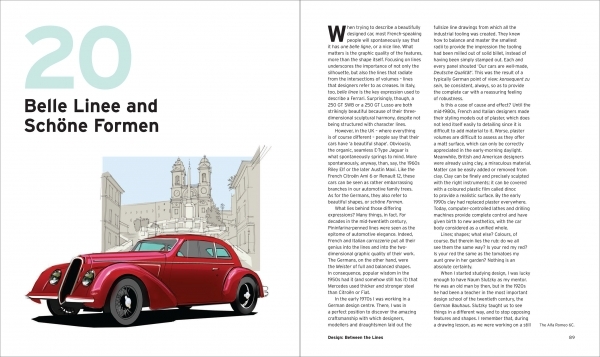 The car industry and the way in which cars are created have changed beyond all recognition over the last half-century. Whereas automotive styling was once the grudging afterthought when the engineers had finished their work, it has today evolved into sophisticated design carried out by multitalented in-house teams honing carefully crafted brand identities. One of the visionary designers at the forefront of that revolution has been Patrick le Quément. Most widely acclaimed for his 22 years in charge of Renault Design, resulting in such standout models as the Twingo, Scénic and Avantime, le Quément has enjoyed a 50-year career that has also taken in Simca, Ford and Volkswagen-Audi. Some 60 million cars across the world now bear the unmistakable stamp of le Quément. 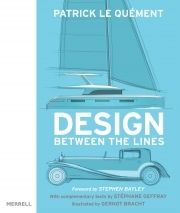 In Design: Between the Lines, le Quément charts his journey through five decades of thoughts, actions, failures and successes. 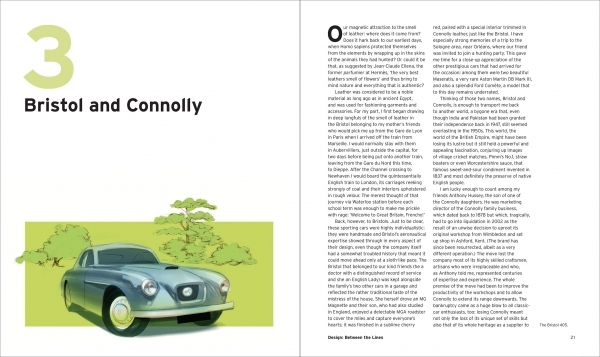 He offers fascinating commentaries on design and the creative process, and on some of the extraordinary automotive brands that make up our shared cultural heritage. On a broader, more philosophical level, he also shares his views about life in general and that remarkable contraption called ‘the automobile’, which has so influenced the lives of millions of people the world over from the late 1800s to the current day. Presented as a series of 50 brief essays or ‘perspectives’, le Quément’s astute observations from the street, from the design studio and from his seat in the boardroom give the reader a penetrating and often amusing insight into the high-level workings of a global industry, its triumphs and tragedies, and the foibles of the decision-makers responsible for running it. 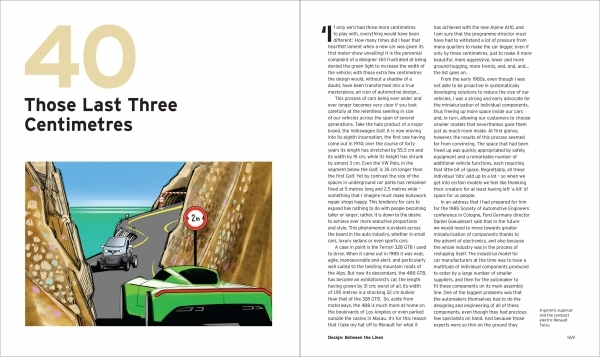 A lively complementary text by the automotive journalist Stéphane Geffray accompanies each of le Quément’s perspectives, and illustrations are provided by the automobile designer Gernot Bracht. Patrick le Quément was born in France and educated in the UK. He studied industrial design at Birmingham College of Art and Design in the 1960s and went on to become one of the most inﬂuential automobile designers of his era. His international career has taken in Simca, Ford, Volkswagen-Audi and Renault, where he was Senior Vice-President of Corporate Design. Since 2010 he has been active as a naval designer, and in 2013 he co-founded the Sustainable Design School, based in Nice on the French Riviera. Among the numerous awards he has received are European Designer of the Year and the Lucky Strike Designer Award from the Raymond Loewy Foundation, both in 2002, and the EyesOn Design Lifetime Design Achievement Award in 2015. Stephen Bayley is an author, critic, broadcaster and curator. In 1989 he co-founded the Design Museum in London with Sir Terence Conran. 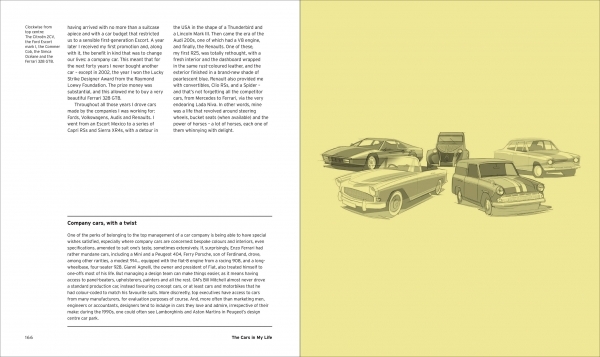 His many books include Harley Earl and the Dream Machine (1983), Design: Intelligence Made Visible (2007), Cars (2008) and Death Drive (2016). He is a Chevalier de l’Ordre des Arts et Lettres, an Honorary Fellow of the Royal Institute of British Architects, a Trustee of the Royal Fine Art Commission Trust and a Fellow of the University of Wales. Stéphane Geffray is a Paris-based writer, journalist and adjunct teacher at the Université Paris Est-Créteil. 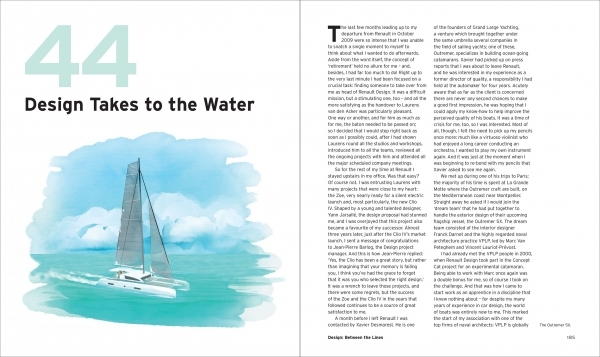 His work appears regularly in the French editions of Octane and Enzo magazines. He also is a former editor of Rétroviseur, a leading French classic-car magazine. 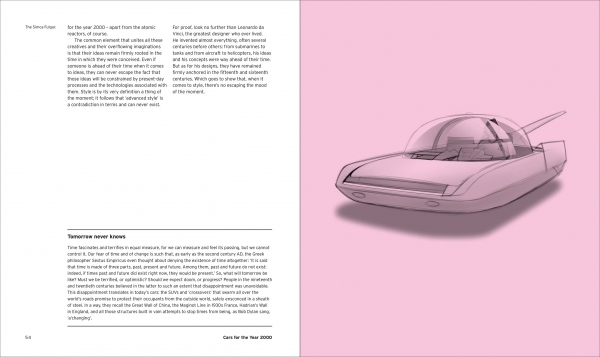 Gernot Bracht is an automobile designer, illustrator and teacher of transport design and sketching techniques. Following a design career at various carmakers, including Renault in France, he now consults for several German automotive suppliers. He has taught at the School of Design of the Hochschule Pforzheim in Germany since the early 2000s and also lectures at FH Joanneum University in Graz, Austria.